The Ford 302 was one of the engines that carried Ford through the late 60s and into the 80s. This Windsor based engine is a small-block powerhouse. The Shelby Mustang helped to make the 302 known around the world. This 315 horsepower engine is the perfect companion for any project car or drop in motor project. 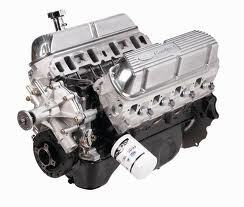 We have these Ford 302 crate engines for sale at a price that you will not believe. We don’t just sell crate engines we build them. We are not a middleman engine shop. We don’t outsource our engine building. It all takes place in our sophisticated engine shop. We give you the Ford 302 quality and not a cheap knock off. We build completely original engines, but we still follow the OEM standards demanded by Ford. We use only certified parts for the rebuild and sell you a complete engine. You don’t have to worry about just buying a block. Our small-block Ford crate engines give you everything you want and a little more. Our price is probably lower than what you have seen published online from other dealers. Just because we build these engines personally does not mean that we overprice them. We know what the price point for a 302 custom crate engine should be and we make it happen. If you are not buying our engines, you are likely overpaying by way too much. You don’t just get awesome engine power. Your great deal does not stop at our low price. We throw in a warranty at no cost to you because you buy engines from us. We build 302 crates. We know what they have in them and what these parts are able to do. We know that OEM parts can fail regardless of what stress they are put under. This is why we give you 3 years of our full warranty. It doesn’t matter what happens to the parts or labor we have put into each engine during your warranty period. We still give you our great warranty as a special gift to you. It would not be worthwhile for us to sell you an engine and for you to have a problem that we are totally capable of fixing. We fix problems no questions asked for 36-months. If you’re worried about the cost of shipping don’t worry. We won’t price gouge you. We know how much it takes to ship a 300 to 400 pound engine. We don’t raise the price and make a few bucks on the shipment. What you pay is no different than what we pay. We know this is the only fair way to handle it. You get a great price, killer warranty and even better guarantee for shipping. We pay for insurance and make sure that your engine arrives to your door without issues. We pay for the call when you call our engine experts at 1-877-630-3873. We give you our quote, you get shocked how low our price is and you decide if you want to order. If you want an email quote, it’s simple to fill out our Ford crate engine form and get a price. We don’t complicate engine selling. Don’t miss out on our Ford crate engines prices.